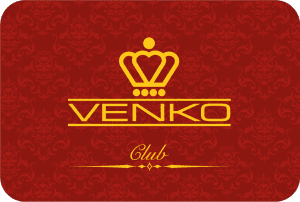 The Venko loyalty card gives you access to special benefits when playing on gaming tables and slot machines. In order to qualify for these benefits, you need to join the club. While playing the gaming machines you will earn points that you can later use to claim benefits at special terminals. The Venko loyalty card is completely free. You will receive it at the reception desk of the Venko Gaming Salon after filling out the membership form. Every time you play on your favourite gaming machine, insert the Venko card into the slot above the numerical keyboard first and you will earn points. Since all cards originally carry the same PIN, you should change your PIN code at the terminal as soon as possible. Card owners will receive benefits corresponding to the points earned. Points earned within one year may enable you to pass to the next level. How can your Venko Club card help you win more benefits, prizes and fun? All three card levels entitle their owners to the following: free entrance to the casino, free drinks for players (from a list of selected drinks), paying bills for hotel and restaurant services from points collected, gaining entry tickets into the draws, double-point bonuses, slot machine tournaments, free play. The points will accumulate on your account while you play. For every € 5 wagered on a slot machine you earn 1 point. For every € 15 wagered on an electronic roulette you earn 1 point. If you wish to become a member of the Venko Club, it is not enough to own a Venko card: you need to earn at least 1 point. Every time you play on a slot machine, make sure you insert your card into the slot above the numerical keyboard. This will allow you to earn points by playing. The members of the Venko Club who wish to play on several gaming machines simultaneously can receive additional cards. 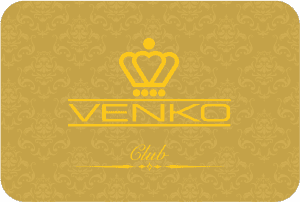 Venko Club membership, card, points and benefits are not transferrable. In case of technical problems, collection of points may be temporarily suspended. Earned points are valid for 12 months from your latest visit to the casino. Club membership may be cancelled by Venko management at any time at its sole discretion and any unredeemed or unclaimed points will be void. The company Trine d.o.o. reserves the right to change or discontinue the programme at any time without prior notice. Participation in gambling may lead to addiction.